The sun is out and you’re eager to finally wander the streets again. As you gaze at the beautiful buildings, you can’t help but wonder how they shaped the city’s history and culture. Who lived in these buildings over the years? Who developed and inspired them? Architects have worked tirelessly for the past 180 years to keep Chicago beautiful and boost the city’s economic prowess in areas such as the Financial District. Yet before towering skyscrapers and dazzling skylines, there were the architects that started it all. Burling Bank was founded on the talent of one such architect: Edward J. Burling. Known for his Greek Revival-inspired pieces and passion for booming commercialism, Burling was only one of many architects to change Chicago’s beautiful streets for the future. From the timeless designs of our namesake Burling to the futuristic fusions of Frank Lloyd Wright, we’ve selected our five favorite influential architects. Affectionately referred to as ‘Mies’ by architecture enthusiasts, mid century modernism was deeply defined by his lifelong work. Mies became a household name with his futuristic and open-spaced Barcelona Pavilion design in 1929 and the Villa Tugendhat. Upon his arrival to Chicago, he became the head of the architecture department at the Illinois Institute of Technology from 1939 to 1958. 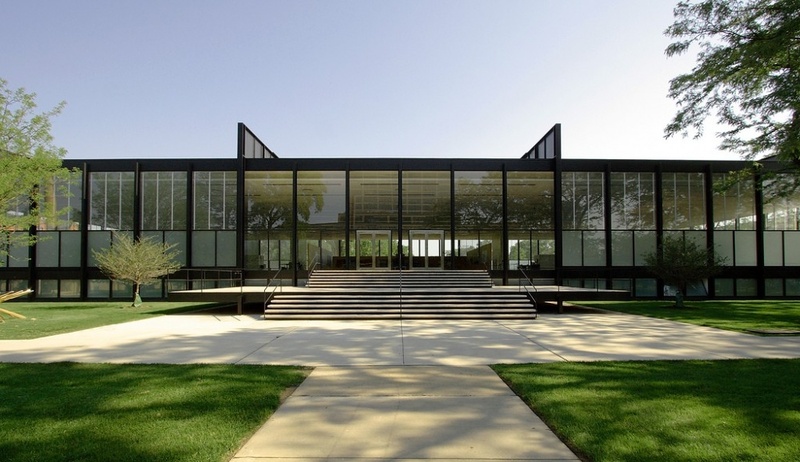 Mies is known in Chicago for the design of IIT’s S.R. Crown Hall, 860-880 Lake Shore Drive and the IBM Plaza on North Wabash. Known as the ‘father of skyscrapers’ and ‘godfather of modernism’, Louis Sullivan was an influential architect and valued mentor of Frank Lloyd Wright and founding member of the Prairie School. He studied architecture briefly before moving on to work for Frank Furness in Pittsburgh and then transitioned to Chicago. 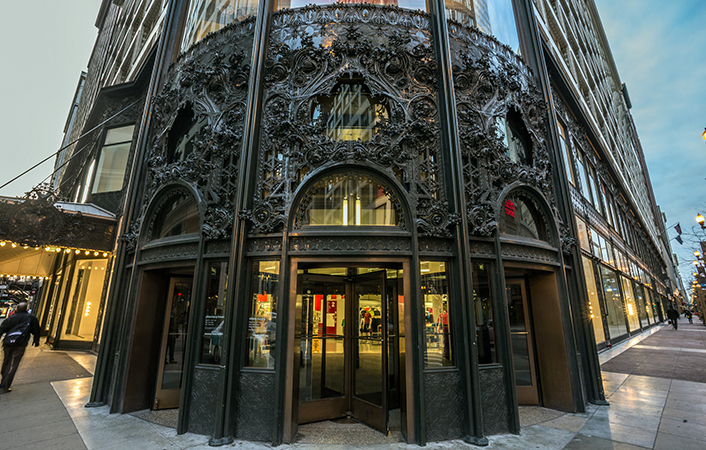 Sullivan moved on to create legendary buildings such as the still-standing Carson Pirie Scott Department Store in 1899 on the corner of Madison and State. A champion of revolutionary achievement, Burnham is well known in Chicago for designing the Reliance Building, the first skyscraper to feature large plate-glass windows and Union Station, the Beaux-Arts masterpiece railroad station in 1925. After his unsuccessful career in politics, Burnham turned his pen to paper and drafted buildings such as the Masonic Temple Building and other masterpieces. 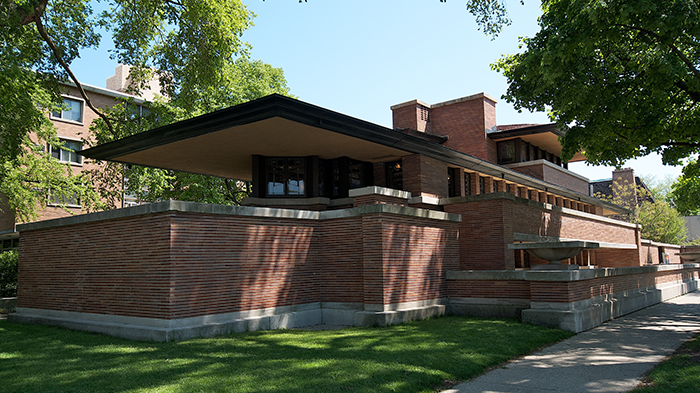 An architect list of Chicago natives would not be complete without the infamous work of Frank Lloyd Wright. Considered the godfather of mid-century modernism and Prairie-style homes, Frank Lloyd Wright crafted a namesake for himself with the Moore-Dugal Residence, the Robie House, Faillingwater in Mill Run, Pennsylvania and the Taliesin studio in Spring Green, Wisconsin. 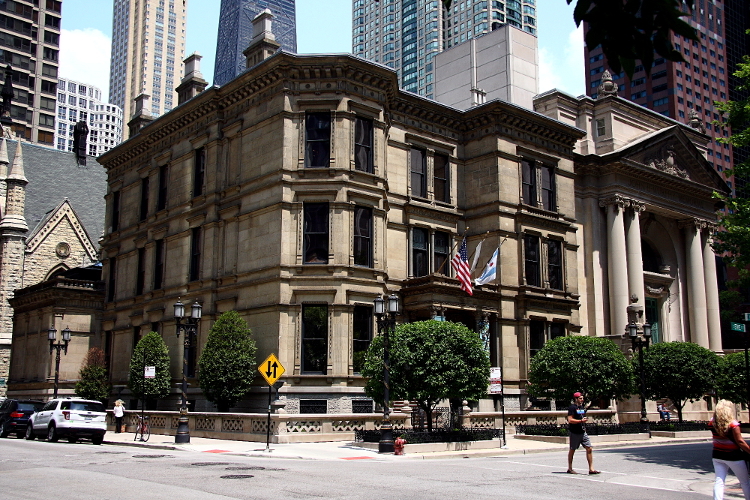 One of Chicago’s earliest settlers and our personal favorite architect, Edward J. Burling inspired our namesake bank with his timeless designs, dedication to the community, and willingness to begin anew after the Chicago Fire of 1871. Today, his work stands at the Nickerson Mansion (Driehaus Museum), the DeKoven House (Biggs Mansion), and St. James Cathedral – a fitting reminder of Burling’s pioneering spirit and the resiliency of Chicago.